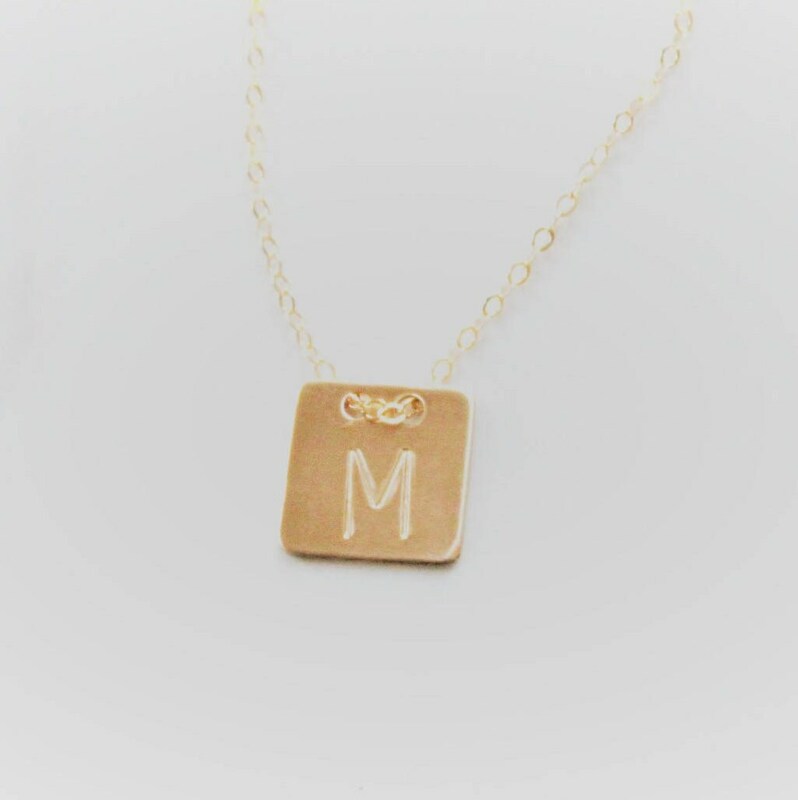 This stunning gold necklace can be customized with up to 3 special initials of your choice. 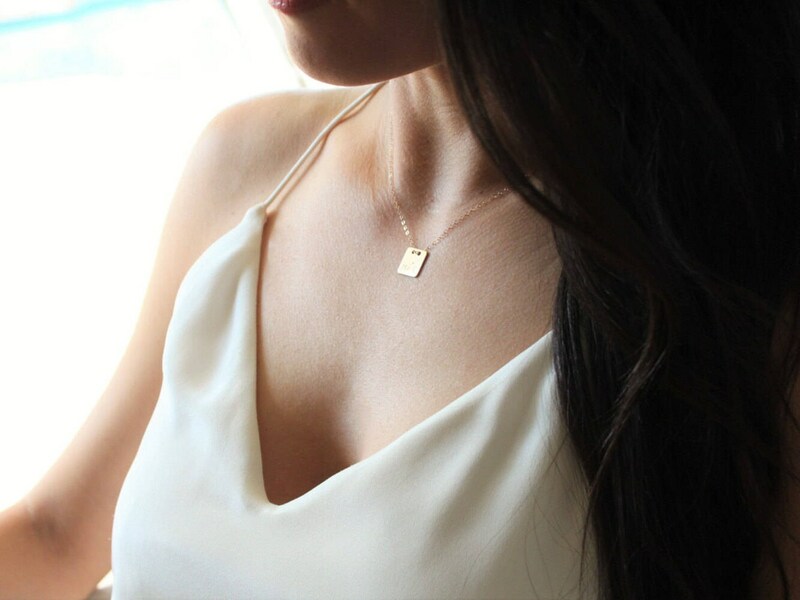 Classic and timeless, perfect for everyday wear. 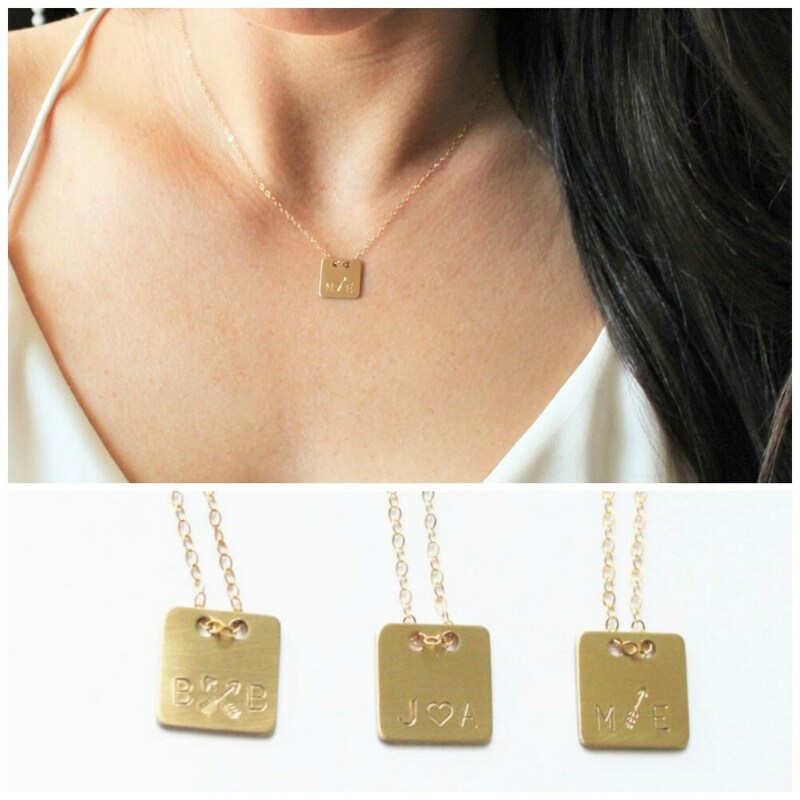 -A high quality delicate link chain with clasp. 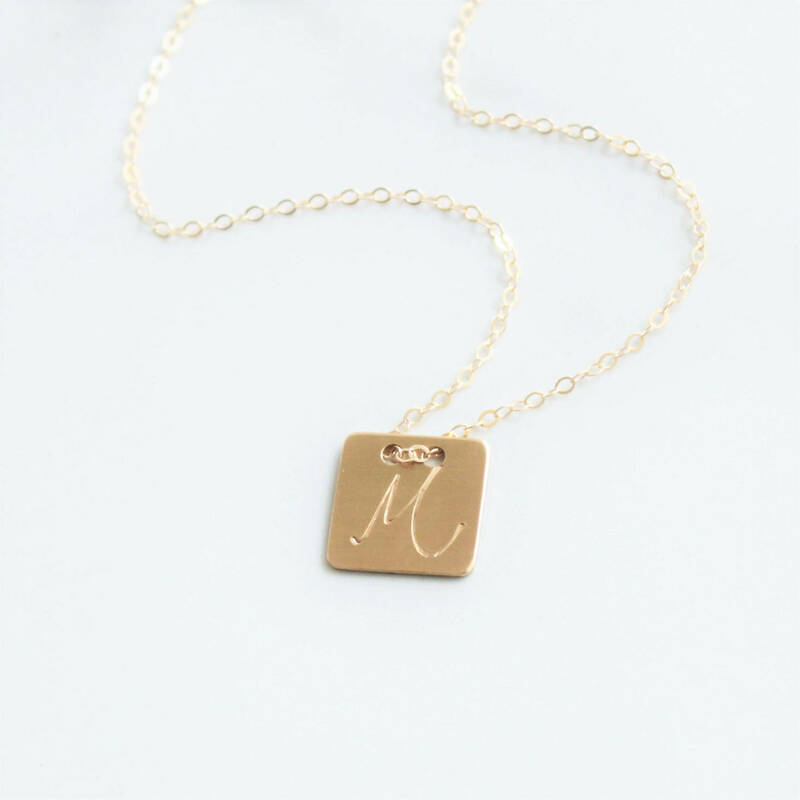 --Personalized using the art of hand stamping, no machines here! 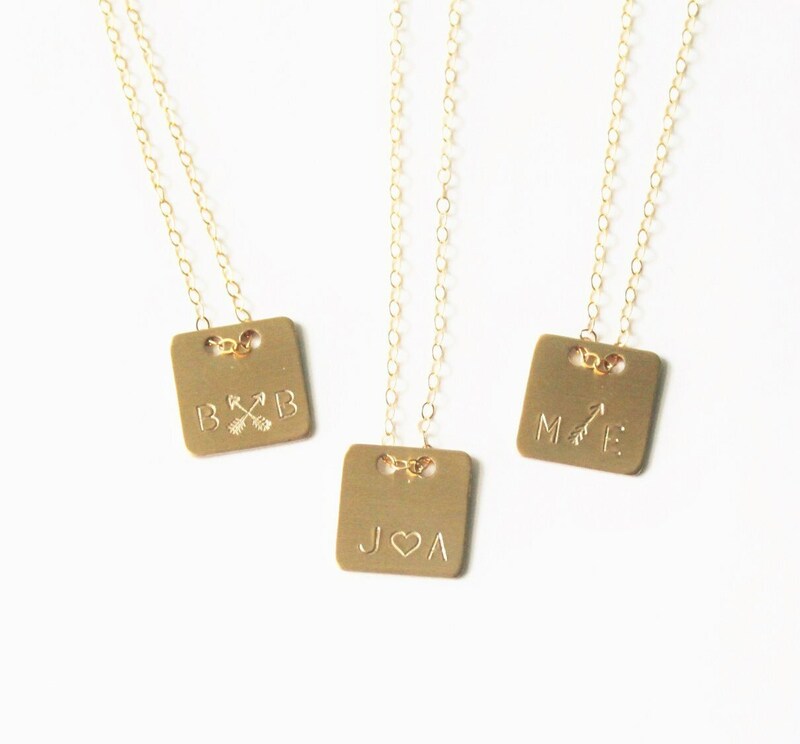 -Hand stamped with 3 characters or one larger letter. Loveeeeeee my purchase! Absolutely adore the matte gold. Super cute, somewhat dainty and personable. Got this customized with my children's initials on it for my mom. She loves being a grandma and I know she will appreciate the level of craftsmanship in this piece. It is so lovely in person.